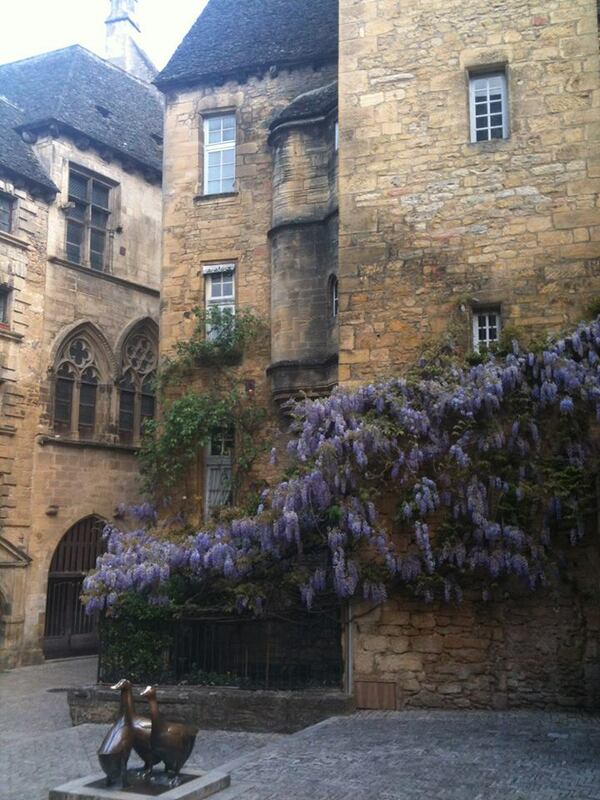 Beautiful Sarlat is a medieval town that developed around a large Benedictine abbey of Carolingian origin. The medieval Sarlat Cathedral is dedicated to Saint Sacerdos. Because modern history has largely passed it by, Sarlat has remained preserved and is one of the towns most representative of 14th century France. It owes its current status on France’s Tentative List for future nomination as a UNESCO World Heritage site to the enthusiasm of writer, resistance fighter and politician André Malraux, who, as Minister of Culture (1960–1969), restored the town and many other sites of historic significance throughout France. The centre of the old town consists of impeccably restored stone buildings and is largely car-free. Not only are there many things to see and do in Sarlat there are also many things to see and do in the Dordogne. Originally part of the church of a Benedictine Abbey built in the 12C Although modified in the 14th, 16th & 17th c. it retains some of its original Romanesque style. The large entrance was added in the 17th c the statues here are of unknown origin and date. The Tourist Office has various ways to see all the things to see and do in Sarlat. Here you will find two public fountains used by the abbey and where the water still runs freely. The Tourist Office has maps of the things to see and do in Sarlat. A small 12th C Romanesque chapel which was restored in the 17th C .The Tourist Office has various guides to the things to see and do in Sarlat. Has a splendid renaissance gallery. In the courtyard there are exhibition rooms for art works and a large room decorated in the 17th century style. 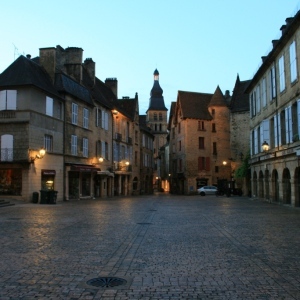 The Tourist Office has tours of the things to see and do in Sarlat. The birthplace of Etienne de la Boetie. One of the finest homes in Sarlat it is characterized by an Italian Renaissance style façade. 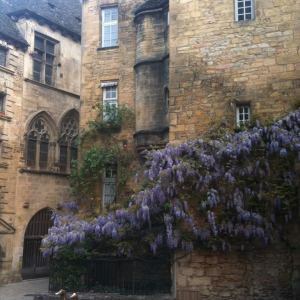 The Tourist Office has various ways to see all the things to see and do in Sarlat. Bordered by traditional houses 16th – 17thc showing a series of restored passageways. The Tourist Office has maps of the things to see and do in Sarlat. Situated on place de la Liberte it was built in the 17th c. It features a hexagonal stone-roofed tower, providing a spectacular backdrop. The Tourist Office has various guides to the things to see and do in Sarlat. Formerly the chapel of the Friars convent, it now houses a school. The Tourist Office has books on things to see and do in Sarlat. Presumed foundation of a Benedictine Monastery by the monks of Calabre abbey who transported the relics of St Sacerdos, the bishop of Limoges to the site. Saint Bernard, returning from the crusades, visits Sarlat and preforms the famous miracle of the “loaves which cured” handing bread to the town folk claiming it to cure all as evidence of the true God. The citizens of Sarlat swear loyalty to King Louis VIII. On signature of Book of Peace, the townspeople acquire their political independance and can now govern themselves freely through their consuls. Pope Jean XXII makes Sarlat a diocese; the city is growing rapidly with 6000 inhabitants. Hundreds year war The town remains loyal to the king of France and courageousley resists but with the treaty of Bretigny in 1360, Jean le Bon delivers the entire Perigord region to Edwards III of England. For the first time in its history Sarlat is taken by suprise on the 22nd February 1574 by the knight of Vivans, the Protestant leader. The town is pillaged and occupied for three months and the relics of Saint-Sacerdos are destroyed. The Viscount of Turenne attempts to occupy the town but despite 6000 troops, Sarlat resists the protestant assault which was to raise the raise the seige. 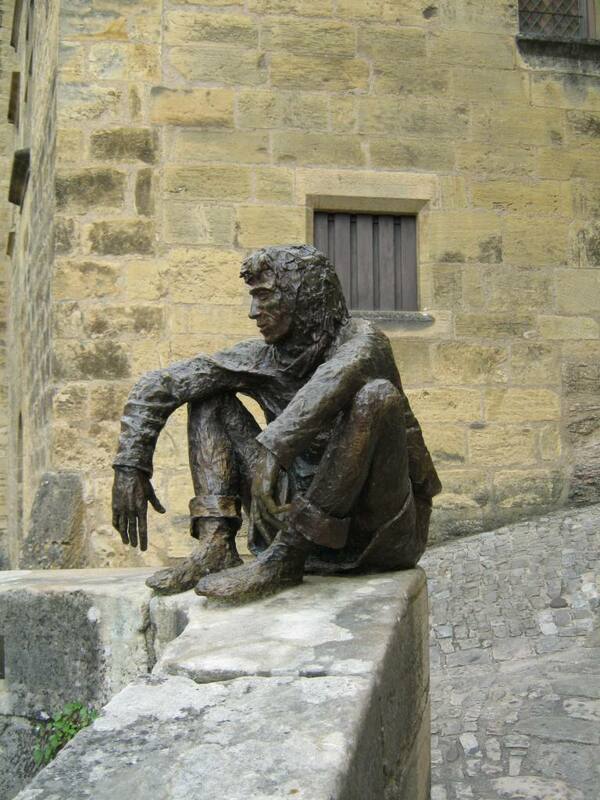 The Croquant revolt, a Perigord peasant movement, shakes the region but has very little effect on Sarlat. “La Fronde” was the last important historical event in the city. Marsin, the lieutenant of Conde, took Sarlat by seige and pillaged it over a period of 3 months. Life in Sarlat became more peaceful up until the Revolution during which the city remained moderate. During the Bonaparte consulate and the administrative re-organisation of the country Sarlat lost many of its privileges. It thus became the sub-prefecture of the department. The royal court of justice was replaced by a magistrates court, the city lost its rank of diocese and the last bishop was transferred. Rue de la République was built, cutting the old town-centre in half and destroying many old buildings. This street is now the main shopping street of Sarlat. The railway station was built, from which point it was possible to reach Bordeaux. This ancient quarter was restored after the Malraux law on the Protection of Historical Towns, was passed on 4th August 1962. Several houses dating from the 13th, 15th and 16th C. with half timber. corbels and stone roofs. The Tourist Office has various guides to the things to see and do in Sarlat. The famous Sarlat markets are held twice a week in the old town. Wednesday mornings are dedicated to food with the local produce providers setting up there stalls in and around Place de la Liberte. On a Saturday the food producers are back in and around Place de la Liberte in the morning until around 1pm. General traders with a variety of goods can be found along rue de la Republique for the entire day. The Tourist Office can give directions to all the things to see and do in Sarlat. In St Marys Church sells a selection of local produce. Open hours are Off season : everyday (except on Thursday) from 8.30 am to 1 pm. High season : everyday from 8.30am to 2pm. On Friday : from 9.30 am to 8 pm. Place Boissarie (near the covered market on Saturday from 9 am to 12 am, in December, January and February. The gardeners of Sarlat take great pride in the gardens that come under their care – even the round abouts within the town are a work of art. The Public Gardens are a delightful place to visit for a picnic or a just a stroll. They can be found on Boulevard Henri Arlet. 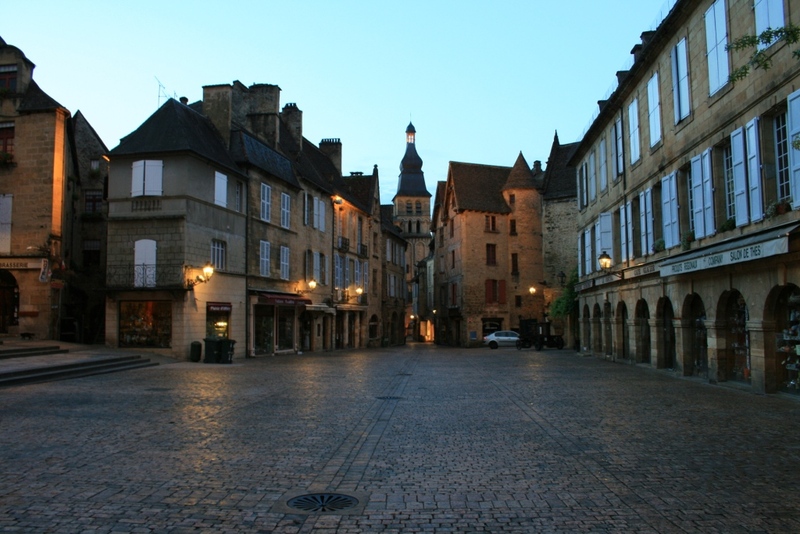 The Tourist Office has tours of the things to see and do in Sarlat. Third week in January. Includes cooking demonstration with a focus on Foie Gras and Truffles. Third Sunday in February Sarlat celebrates its emblem with a goose fair. Every 2 years on Whit Sunday Festival celebrating the traditional games of the past. Held in May A two day market with local produce. National music day on the 21st June every year throughout the medieval town. One of the eldest theatre festivals in France with performances held throughout the old town. Runs from the second week in July to the first week of August. 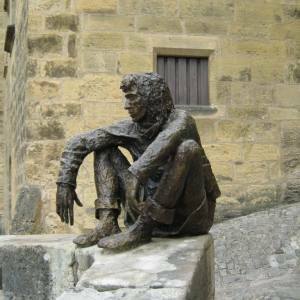 SARLAT MOVIE FESTIVAL – Mid-November. CHRISTMAS MARKET – and outdoor skating rink:December.